Whenever I attend educational technology conferences today, I am reminded of George Santayana’s admonition to learn the history of one’s craft. At meetings, I often see young researchers and developers struggling with the same problems technology pioneers were discussing 40 years ago. In 1976, I brought the #1 Apple 1, the first one off the assembly line in Cupertino, into a classroom for the first time ever. Soon, I was part of a growing community of educators and learners who were anticipating the potential benefits and issues introduced by the advent of small, fast computing. We thought a lot and experimented as best we could. We discussed the issues among ourselves and published our ruminations in now obscure journals and newsletters. Virginia Tech Professor, Dave Larsen, started reaching beyond his classroom with self-published Bugbooks in 1974. Most of his readers were hobbyist or in other professions, not computer scientists. Dave’s books were standard fare at LO*OP Center, computer conferences and hobby clubs where people hungry for information about computers gathered to learn and teach. Why we call our museum the “Bugbook Historical Microcomputer Museum” – here is the short story. I call our museum “The Bugbook Historical Microcomputer Museum” is because of the original “Bugbooks” . About 1974 I was part of a team that produced these books. 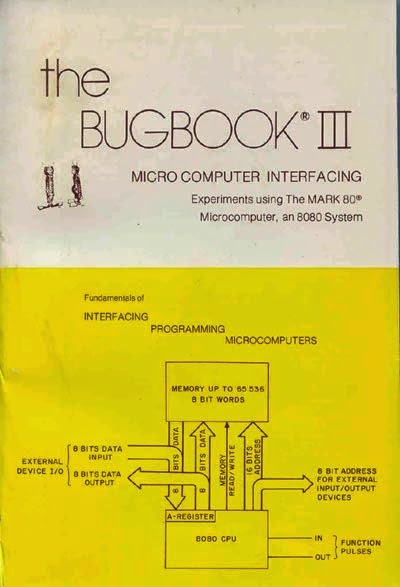 The first two Bugbooks were written and published by Professor Rony and I. I named the books Bugbooks because the small digital integrated circuits looked like a bug with its legs. Professor Rony typed the manuscripts and we self published the first few printings of the “Bugbooks” . These books were the start of a book series called “The Blacksburg Continuing Education Series” . 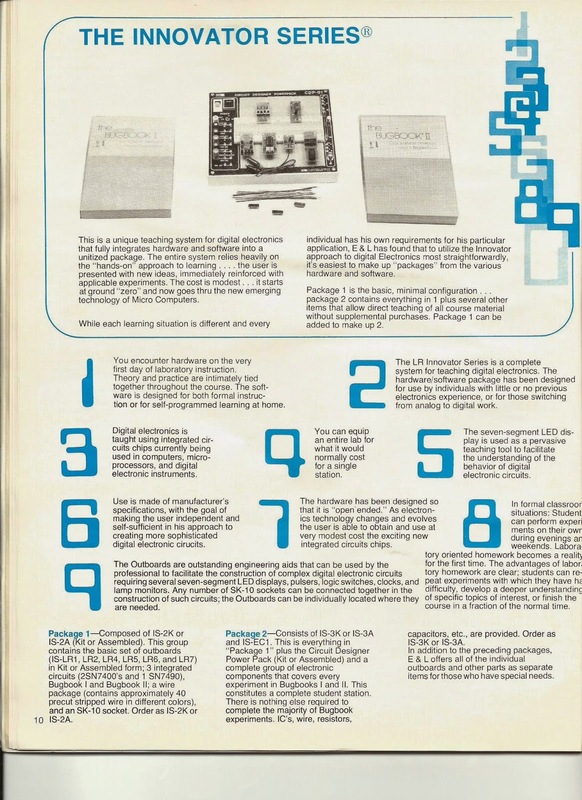 The books covered various topics of digital electronics, computers and software. Dr. John Titus and Dr. Chris Titus joined the group and became important members of our team. During the period 1974 to 1984 about 75 books were published with a circulation of over 1 million copies. Our team hired 31 authors to help write books in the series. In addition to the books our team designed several computers and other teaching / engineering aids that were sold world wide. John Titus was the computer designer and I designed the digital engineering / teaching hardware aids. 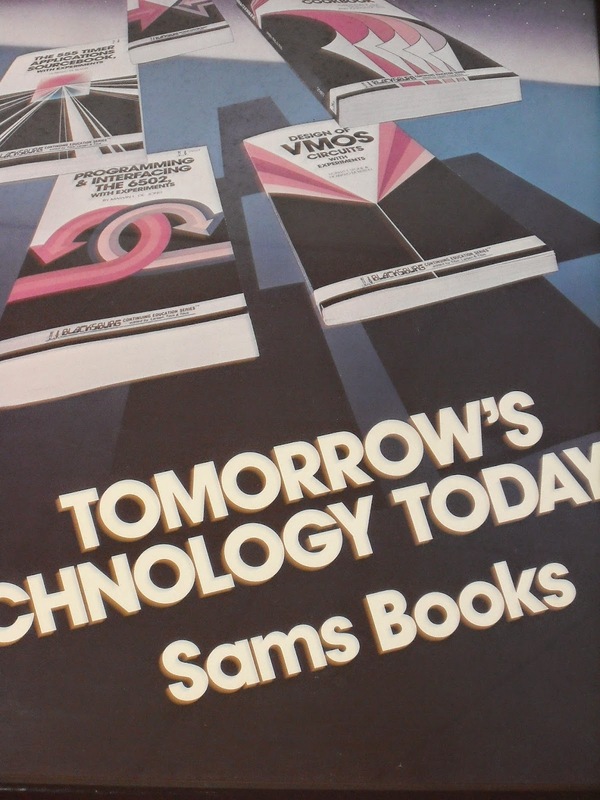 Most or the books were published and marketed by “Howard W Sams” and the hardware was marked by “E and L Instruments” in Derby Connecticut. 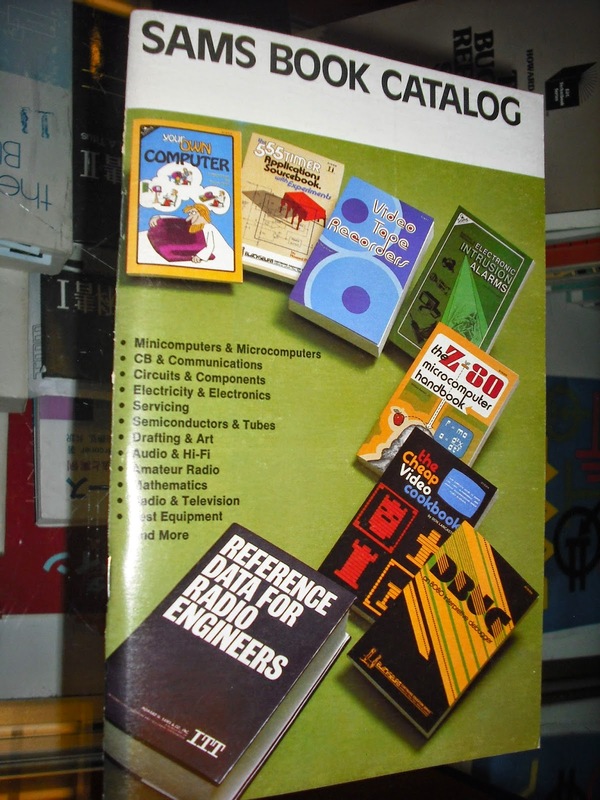 Many engineers, technicians and electronic hobbyist of the late 70’s and 80s used these books and hardware. All the books and hardware are on display in our museum. Howard W Sams Advertising Display of “Blacksburg series books. 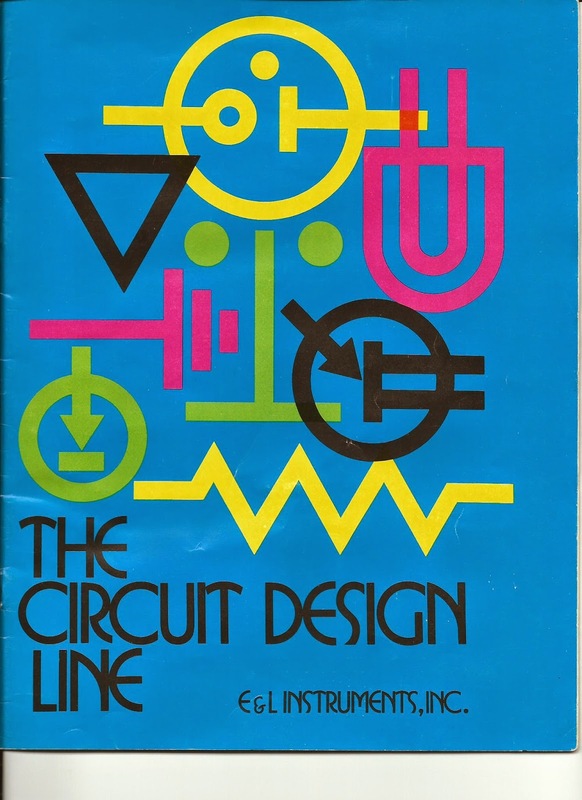 A reoccurring comment from folks visiting the museum is – I learned digital electronics from the “Bugbooks”. The experience with the Blacksburg Group started my interest in collecting microcomputer memorabilia for 40 years and has resulted in the thousands of items collected and the small display in the museum. The Bugbook story involves many relationships, interesting events and eclectic people. It is my intent to get the details of these adventures in writing — soon I hope. E and L catalog 1977 with all the Blacksburg Group books and hardware for sale. See Video’s about Dave’s Historical Computer Collection CLICK. The word, ‘Education’, is derived from two Latin roots: ‘e’ or ‘ex’ meaning ‘out’ or ‘out of” and ‘ducare’ meaning ‘to lead’. Education leads you away from where you are to someplace new. It is related to teaching, learning and schools in complex ways. It also entails a vast number of ‘learning objects’, ideas, stories, documents, physical objects, situations and events. How do these various elements relate to each other? Perhaps more important, how may we characterize the learner as he or she begins when we first look at him or her learning and as he or she is led out of that place? All of these relationships can be seen as the domain of education. Modeling this domain is a challenge. Meeting this challenge becomes important as we move away from storing our cultural heritage on paper, which can be accessed by sorting through piles on shelves and in boxes, and begin to keep our records in the digital where only a rational machine (computer) can place it before our eyes. The machine relies on the model to locate the item we’re looking for. Unless we have created an effective model it will be very difficult to retrieve the information we seek. This post is inspired by Jon Pearce’s course in Domain Modeling at San Jose State University in California. Additional details, and an opportunity to expand the discussion are available on our wiki. HCLE’s Founder, Liza Loop (@LizaLoopED) responded. 1st – A distinction between ‘work’ and ‘play’: Work is done for some extrinsic reward; play is done for the joy of the activity itself. The reward for play is intrinsic. Games (exclusive of ‘war games’) are forms of play that are bounded by a set of rules that limit what the players can do during the game. For the majority of young learners, what is offered in schools is ‘work’. Computer games, like recess, have a much larger element of ‘play’. 2nd – ‘Learning’ and ‘teaching’ are different activities, performed by different actors, often on the same stage, sometimes connected by a common intention or outcome. Learning takes place within an organism (and, by analogy, within a computational machine) and is often observable to an outsider by some change in the behavior of the learning organism but often is not noticeable for some time. Teaching is an activity performed by a person either in the presence of a target learner or delivered remotely via a book, video, computer, some other recorded medium or the structure of an immersive environment. Teaching has an intended outcome, some identifiable change in the learner of which the teacher may or may not become aware. Teachers and educators who complain that their students “are not learning” are merely ignoring the palpable but unintended lesson they deliver every day. Most people who discuss “e-learning” are really talking about “e-teaching” and are also ignoring the learning that is taking place within those who contact their products. 3rd – A lesson can be either intended or unintended by a teacher, it depends on whether you are taking the teacher or the learner perspective. From the teacher point of view the lesson is what the teacher wanted to teach and is deemed a success only if the learner subsequently performs as intended. From the learner point of view a lesson is what the learner takes away from the experience with the teacher (or the teacher’s recorded medium, e.g. text, audio, computer game, etc.). For example, one of my sons learned that if he swore at his coach during P.E. he would be suspended from school for the balance of the day. The intended lesson was that swearing at the coach was a bad idea. The learned lesson for this school-aversive child was that getting out of school was incredibly easy. 4th – Different individuals (including humans, chickens and perhaps even flat worms) experience different events as intrinsically rewarding. Just because a teacher would be pleased to receive a gold star doesn’t mean the learner is going to respond positively to having that same star posted next to his or her name on the class bulletin board. In the example above, the school assumed that being suspended would be a negative reinforcement for my son – they were wrong and had inadvertently administered the strongest positive reward for “bad behavior” in their tool kit. Chickens are easier, especially if you keep them hungry. They pretty reliably find a kernel or two of corn rewarding. 5th – A possible definition of ‘gamification’ is the imbedding of teaching (intended lessons) into games (play environments, sometimes presented via computer, always with rules of engagement). Recall that ‘play’ has to be intrinsically rewarding to the player. For the 39 years that I have been exploring computing in learning and education, educators have been dazzled by the seemingly intrinsic motivational power of the computer and computer games. In this thrall they have ignored most of what they know about research and evaluation of varying educational strategies and have used grossly differing situations as study treatments and controls. Throwing in a multiplication problem as an obstacle to continuing along a thematic pathway in the context of a completely unrelated computer game might be considered as ‘gamification’. But it doesn’t address pedagogical strategies for teaching numerical manipulation skills, issues of intrinsic reward or what unintended lessons are completing for the learner’s attention. In other words, most of the existing research on the use of computer games for teaching is so poorly designed that it is useless. No wonder we aren’t seeing replicable results! 12. Embedded instructional strategies All these factors need to be controlled in order to draw meaningful conclusions with regard to efficacy of any game for teaching anything. Do I get to Level 4? Well, do you think she made it to Level 4?